The Philippine Embassy in Madrid visited the port of Vigo, Spain, and attended the CONXEMAR seafood and frozen food trade exposition. The delegation also met with representatives from the fishery sector in the Galician region to promote Philippine seafood products and business interests. 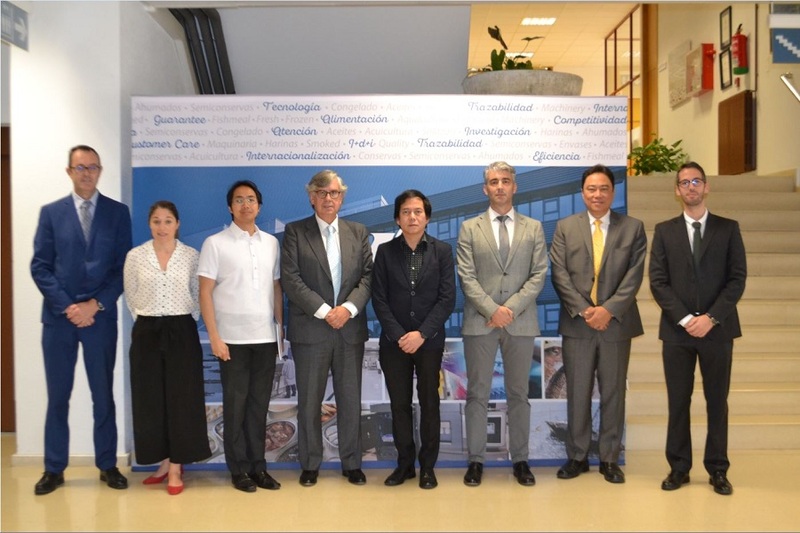 The Philippine Embassy was represented by Third Secretary and Vice Consul Mikhal C. de Dios; Mr. Jose Laquian, Agricultural Attaché, Brussels PE; and the Philippine Honorary Consul in Vigo, Mr. David Garcia. The delegation also included Mr. Richard Friend, international sales and marketing head of PhilFresh Corporation, a Philippine seafood supply company. The visit began with a meeting with officials from the Vigo Port Authority and the port management company, Grupo Davila. 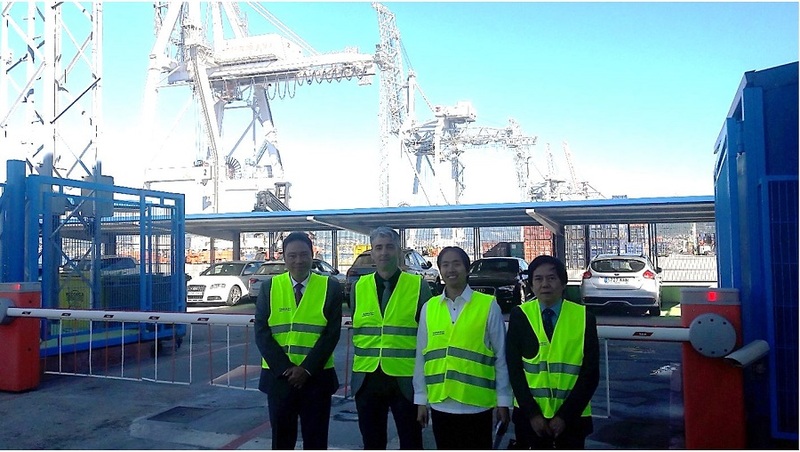 The Philippine delegation received a briefing and tour of Vigo Port, and viewed the port operator’s loading and unloading procedures, the customs entry procedure, and their storage facilities specialized for fishery imports (which constitute the bulk of items that enter the port). The Port of Vigo is the world’s largest fishing port, and one of the busiest in terms of volume. Vigo is also the home of the world’s largest fishing company, the Spanish firm Pescanova (which operates in 24 countries with more than 12,000 employees). The delegation then visited the CONXEMAR exposition, the largest seafood trade show in Southern Europe. The three-day event, now in its twentieth year, is the second-largest seafood trade fair in the world, after the Seafood Expo Global in Brussels. Visitors at the CONXEMAR seafood trade show in Vigo, Spain. CONXEMAR sees the regular participation of almost all the major food producers and retailers carrying seafood products in Spain, and several from around Europe. This year’s edition had more than 35,000 visitors and participants. 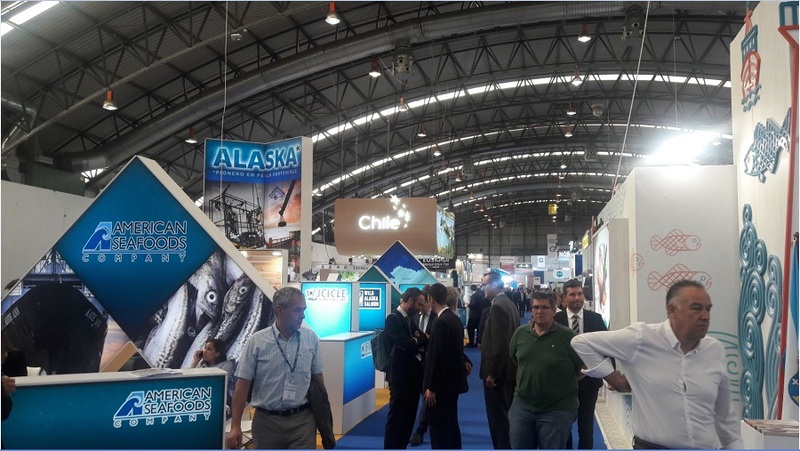 Attendees include large-scale fish and seafood producers and buyers, machinery providers, logistics and customs brokerage companies, and representatives from several related fields. The visit to Vigo concluded with a meeting with ANFACO CECOPESCA, a non-profit business organization that represents and defends the interests of 250 companies in the agro-seafood sector of Galicia. The delegation met with the institute’s president, Mr. Juan Vieites Baptista de Sousa, and expressed their interest in collaborating with ANFACO’s policy research arm on ways to address illegal, unreported, and unregulated fishing (IUUF), which he welcomed. The Philippine delegation in Vigo meets with officials of ANFACO CECOPESCA. 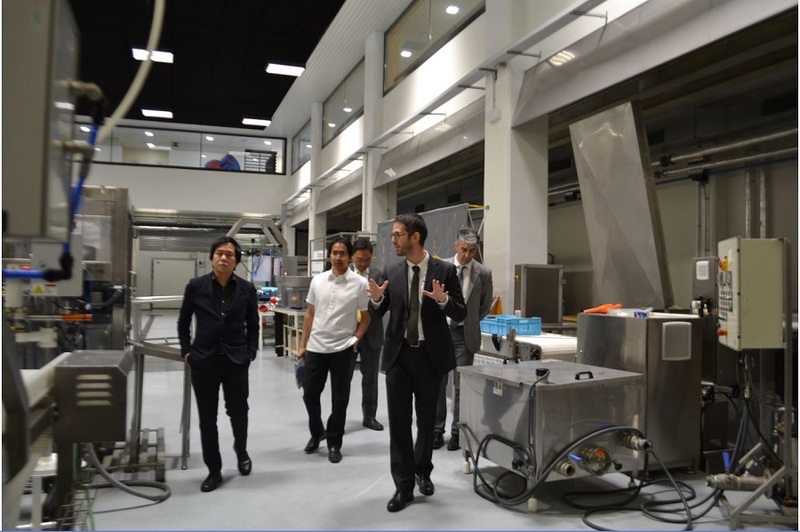 The delegation was then given a tour of the organization’s scientific and industrial research facility, which is currently working on more than 70 projects in disciplines such as microbiology and artificial intelligence, in order to improve the agro-seafood industry’s production levels and compliance with sanitary standards. The delegation receives a tour of ANFACO´s research and development facilities.